Still very much in love with 100% every single thing about this look from the Maison Martin Margiela Fall 2013 Couture show. 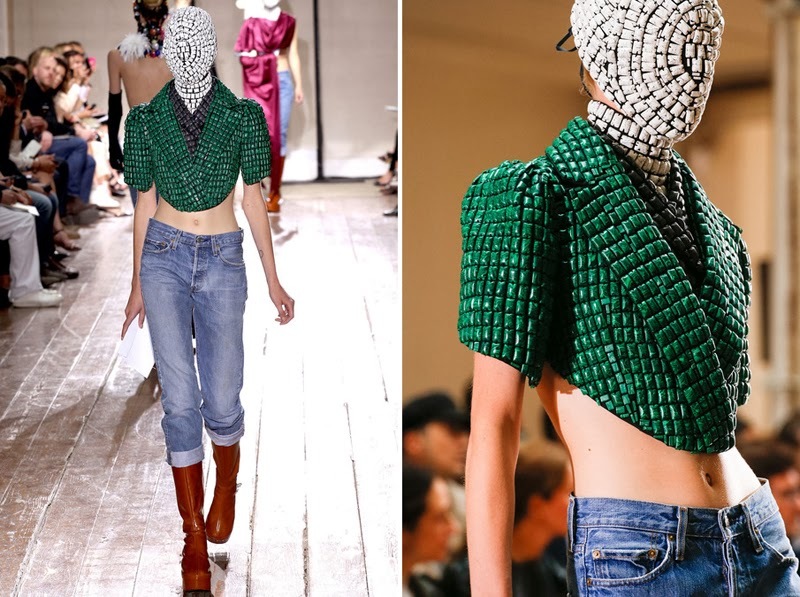 And you better believe it has everything to do with the styling choice of the blue jeans with the insanity of that beading/gem work/whatever you want to call it/COUTURE. The formula of high and low, luxury and street, will always be my favorite.